A claim about some so-called politicians allegedly telling some players and teams to protest or lose their games has been made in parliament by the Minister for Youth and Sports Parveen Bala. Bala did not reveal the names of those so-called politicians, players or teams but only said he was disappointed about this. 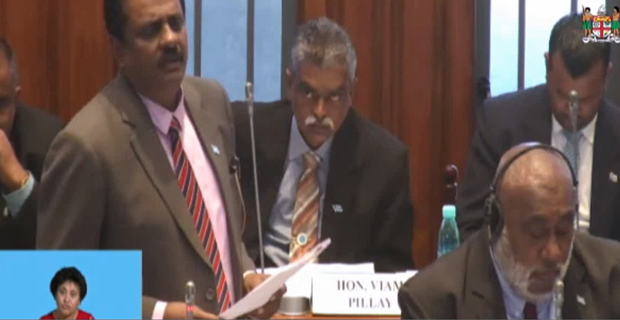 Bala made the claim as he took questions in parliament from the Opposition about the work the Ministry of Youth and Sports was doing in relation to player welfare. We are trying to get further comments from Bala on the so-called politicians.